In purchasing equipment for the outdoors, I always use the same thought process. How often am I going to upgrade my equipment based on the new radical improvements that the manufacturer will come out with? How long before my existing equipment will become obsolete and I will have to replace it? How long will it be before I have a disadvantage with my existing equipment? When the time came to choose a roof rack, I decided that I would choose the best roof rack that I could afford based on the use of the roof rack. I remember when I used to have a surf rack, a ski rack, a bicycle rack, a kayak rack and a sailboat carrier. It was the utmost of dedication to participate is a lot of outdoor activities as each time it came to participate, a new rack was placed on the car and the old one was taken off. Maybe I was a little ahead of my time because I started adapting the rack that was on my car to support the next activity. Fortunately, those days are gone and there is a much easier way to participate in outdoor adventure. The modern roof rack adapts to the activity that you want to participate by the use of accessories. Accessories allow the same rack to perform in a multitude of ways. Just make sure that the rack that you choose performs exactly to your specifications. If you intend to carry a sea kayak, the combination of the rack bar length, the positioning of the kayak saddles and the four mounting feet that mount on the car might create conditions that you did not think about. The rack bar might be too short. Two kayaks set side by side in a horizontal position might not be able to sit in the kayak saddles because the wing nuts needed to adjust the saddle might hit the permanent car rack mount. The kayaks might have to placed upright instead of horizontal. The point I am making is that just because the salesperson says it will work, plan ahead. And even if it works now, a purchase of a new car might not allow some of the accessories to work properly. It's all good in theory, but sometimes you might have to figure out a few things by yourself. I've gone through many headaches with roof racks, but in the end, it all makes outdoor adventure possible. 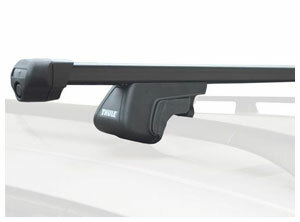 Make sure that the mounting locks that lock the roof rack to the car can be taken out and used in another mounting system if you purchase a new car. There is a good chance that the mount that is originally purchased will not fit your new car. All you will have to do is purchase a new mounting case without any locks and the original locks will fit right in saving you money and key aggravation. Make sure there are exactly the accessories you need and also there are accessories that you might need in the future. Ask if the design of the roof racks have changed in the last 5 years. In other words, is there a good chance that an accessory purchased a few years later will still fit the roof rack system that you are considering to purchase. Sometimes there are extra accessories (like a rubber plug that goes into the end of the rack pole) to help keep the rack from rusting, etc. Ask the salesperson if there are any additional accessories that you should know about. Then decide what is right for you. Some retail stores have an additional roof rack installation service (for a fee). Ask if that is available and is it possible for you to watch the whole installation. If you need that kind of assistance and at the same time learn how, it might be worth the additional expense (especially if you intend to put some expensive outdoor adventure gear on top of your car). Otherwise, ask for any helpful suggestions on what people do wrong the first time a roof rack is installed. Always center and balance the roof rack when installing it on your car. This is a very important purchase and you want to make sure that you've chosen the correct rack for your needs. You must see the rack, understand the accessories and you must have your car with you. If you have purchased car racks before and you have done an rack installation, you can then consider choosing a car rack over the Internet. Don't forget to learn how to maintain your roof racks correctly because incorrect methods might damage your roof rack and choose a roof rack wisely.